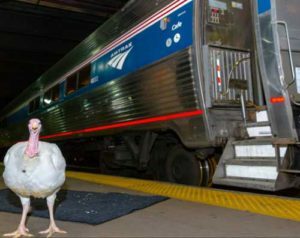 WASHINGTON – In anticipation of the busiest travel week of the year, Amtrak is prepared to accommodate the surge of holiday travelers with additional trains and added capacity – operating every available passenger railcar. Tickets sell out quickly, so customers are encouraged to plan ahead and book tickets early. In response to customer demand, Amtrak Acela Express (Boston – Washington, D.C.) and Northeast Regional(Boston – Washington, D.C./Virginia) services will operate extended schedules with additional frequencies and added capacity during the week of Thanksgiving. Regular Amtrak booking procedures apply. Just in time for Thanksgiving, some customers may get to travel in newly-refreshed train cars as Amtrak is investing in a nearly $17 million refresh of its train interiors. Several services, including the Northeast Regional, are undergoing a series of phased improvements including new seat cushions, carpeting, curtains and refreshed restrooms to provide a more modern, comfortable experience onboard. 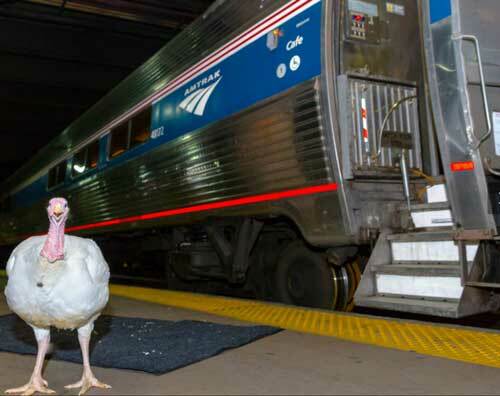 Last year, Amtrak carried 760,755 customers throughout its national network during the Thanksgiving travel period. Similar customer counts are anticipated this year.